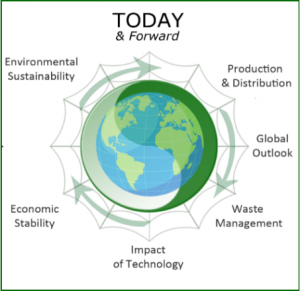 Continental Power Concept, Arsenic in Rice, Energy Price Regulations, What has Technocracy Inc. Been Up To?, all this and more in this Quarter’s newsletter. The Continental Hydrology was surveyed long ago by the Technical Alliance, forerunners of Technocracy Inc. 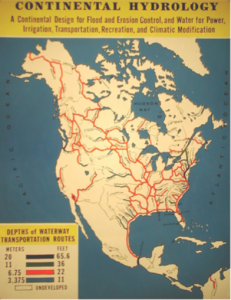 This general description of a Continental Hydrology indicated the tremendous hydroelectric power potential of the North American Continent which is presently estimated at 313,000 megawatts not including power which could be developed by a Continental Hydrology. For a variety of reasons the total development of all hydroelectric power potential is probably not feasible. However, there is still considerable underdeveloped potential remaining in North America since our existing hydroelectric capacity is less than 20% developed. The power system that serves this continental area should be a Continental system based on continental concepts, not on an amalgamation of thousands of small, inefficient, loosely connected systems whose prime objective is making money not power. There are approximately 3,400 such systems in the United States alone, and it is simply not possible to build an efficient continental power system by interconnecting 3,400 anachronisms together with alternating current tie lines. This entirely new concept in water transportation such as Technocracy proposes for North America would require a corresponding change in the design of river and canal vessels. Maximum efficiency for example, could not be achieved on a modern freeway if oxcarts were the sole means of transportation, and the same idea is true of a new water highway system. When this concept is on the way to become a reality, so much will have to be undone by the misuse of all these systems that inherently were proposed to maximize the profit motive, and not necessarily for the benefit of the people living here. To sum this all up – Technocracy’s design for a Continental Hydrology is a design for flood and erosion control, for water and power, irrigation, transportation, recreation and even climatic modification. Ask for Technocracy’s “Continental Hydrology Design” article. ARSENIC IN RICE: A HEALTH CONCERN? There are two types of arsenic; organic or carbon-based (less toxic) and inorganic (more toxic). Organic arsenic is mainly found in plant and animal tissues and is not to be confused with organic farming. Inorganic arsenic occurs naturally in water, air, soil and many types of rocks, especially in minerals and ores that contain copper or lead. In some areas, inorganic arsenic is released into the environment from agricultural and industrial sources. Food crops take in arsenic from the environment as they grow, and since arsenic is not an additive, it cannot be completely eliminated. Arsenic does not have a smell or special taste and it is primarily colorless or white, therefore it is difficult to tell if arsenic is present in food, water or air. In the past, inorganic arsenic compounds were commonly used as pesticides in orchards and cotton fields. Now inorganic arsenic compounds can no longer be used in agriculture; however, some organic arsenic compounds are still used as pesticides and as additives in animal feed. An increasing amount of pollution from wood preservatives, fertilizers and industrial waste is causing arsenic to find its way into groundwater used for irrigation and drinking water. Arsenic is found in many common foods such as grains, vegetables, fruits, bottled water, and fruit juices, usually in trace amounts. Some types of seafood contain significant amounts of organic arsenic and certain varieties of seaweed may also contain inorganic arsenic. Several studies have shown that ingestion of arsenic increases the risk of a variety of health problems such as cancer, heart disease, type 2 diabetes, decreased intelligence, and during pregnancy it can have adverse effects on the fetus or cause birth defects. Higher levels of inorganic arsenic have been detected in some rice products such as rice milk, rice bran, rice cereals, rice crackers, brown rice syrup, baby food and some rice based snack bars. Unfortunately, organically grown rice has similar amounts of arsenic as conventionally grown rice since arsenic can be found in both soil and water. Consider white rice instead of brown rice, because brown rice generally contains up to 80% more arsenic than white rice. Arsenic tends to concentrate in the bran and husk and they are mostly removed during the processing of white rice. Brown rice contains more nutrients than white rice, so you may not want to avoid it completely. Consider sushi rice, jasmine rice or brown basmati rice from California, India or Pakistan since they tend to have lower concentrations of arsenic. Note: Make sure your cooking water has zero to minimal arsenic levels, otherwise arsenic levels may increase during cooking. Adults and children should eat a well-balanced diet with a variety of grains for good nutrition. Choose non-rice grains such as bulgur, barley, and faro and gluten-free grains such as amaranth, quinoa, buckwheat, millet, polenta (grits). Avoid or sparingly eat hot rice cereal and rice pasta because one serving contains the recommended weekly maximum arsenic exposure for adults. Infants should be fed a variety of iron-fortified cereals such as oat, barley and multigrain. The FDA recently established a guidance level of 100 ppb for infant rice cereal, and recommended that adults eat a well-balanced diet with a variety of grains for good nutrition and to avoid adverse effects from any one food source. The EPA has set a limit of 0.01 parts per million (ppm) for arsenic in drinking water and Occupational Safety and Health Administration (OSHA) has set a permissible exposure limit (PEL) of 10 micrograms of arsenic per cubic meter of workplace air (10 µg/m3) for 8 hour shifts and 40-hour work weeks. There are many factors contributing to mechanization of the energy industry. 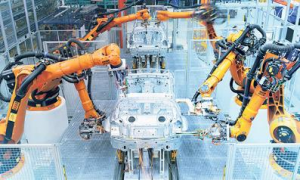 This article will focus on one way in which government price control encourages firms to replace workers with machinery. What is known as the Averch-Johnson effect is the resulting actions of firms attempting to maximize profits while adhering to government price controls. 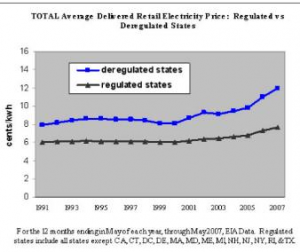 To understand this, it is important to understand briefly how energy prices are determined by authorities. Regulators understand that energy firms are dependent on capital from investors; so, the goal is to allow firms to be reasonable profitable. The price of electricity is regulated by the following formula: (cost of production) + (the reasonable rate of return). It is the way in which the reasonable rate of return is decided that favors the machine. Since the rate of return is dependent on a fair return for investors, the more money a firm spends initially increases what constitutes as a reasonable rate of return. Only fixed costs affect this rate making variable costs, like labor hours, less valuable to firms. This process was first observed in “Behavior of the Firm Under Regulatory Constraint” by Harvey Averch and Leland L. Johnson in 1962. (Hence the Averch-Johnson effect name). and second, energy systems lose efficiency with the integration of too much automation. We find these phenomena as an example of compounding problems which form from the actions of both a private energy system and the current regulatory framework. Ultimately efforts to integrate new technologies should be aimed at making the system as efficient as possible while spreading the benefits of new technology to both the energy consumers and the company’s workers. WHAT HAS TECHNOCRACY BEEN UP TO? 1933 through 1965 was a ‘hey day’ for Technocracy Inc. There were many members; Sections, Units, and Groups were spread across the U.S and Canada. Then, society changed; television took attention away from outside activities and brought it into the home, the economy was beginning to look good again, and there were many, many new toys to buy and play with. People’s thoughts went along the lines of; “Who needs different guidelines for society’s decision making when politics don’t affect us much.” But they do, they seriously do affect us. With all the glory of the 1980’s the membership telescoped down to fewer members. 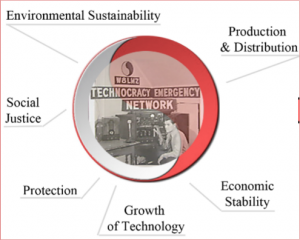 So, Technocracy quietly kept its primary goals which are to research, inform and educate the public regarding sustainability, efficient and effective production and distribution, and waste management, and how technology will affect society. Our membership was down to fewer members and a core group at CHQ – George Wright, Ron Miller, Bill Adams, Paul Cordsmeyer, Jack Darvill, June McLeod, and Grace Sheldon. In 1999, the Board decided to change tactics and created a website that would help in getting the word out. In 2015 Technocracy changed the presentation from showing people the problems with the current system, to presenting solutions! In 2016, Technocracy hired some science trained interns and had them create an outline of a Transition Plan from the current politically and financially motivated decision making toward decision strategies that account for the impact of administrative decisions on the environment and society. Integration: Full Integration into current system. What else has Technocracy been up to? Another internship involved aquaponics; we have set up an indoor mini (think herbs) aquaponics system with goldfish. We are in the process of setting up a larger scale aquaponics system that you will be able to follow on the website. We have begun a workshop. People who have ideas on how to create something amazing for the world and want to share, or get some assistance, come to our office where we have a nice community of Inventors and Tinkers! We have also started to research bio-mass energy harvesting. This will be an ongoing project as many ideas are flowing in. A person has offered us a DIY video that we are checking out – it looks promising. There is so much research currently available on sustainability, how to make the world a better place, and how to have independence from fossil fuels that we feel that our beginning efforts in the 1920s and 30s have paid off big-time, and are so glad that taking care of the world is becoming a priority for many. With the protesters still holding strong, attempting to stop the construction of the North Dakota Access Pipeline, the safe transportation of oil and fuels is a huge concern to most of the continent and, hopefully the world. 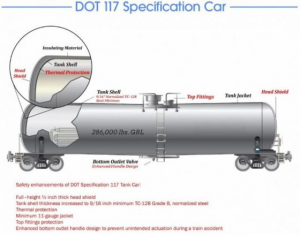 While we are fitting train tankers with shields and valves to decrease risks of puncturing the shell, we are seeing the efforts fail time and time again. This was extremely evident in March of last year and the weeks before. Galena, Illinois was rocked on March 5th by an explosion that came from a derailed train about 3 miles south of town. The train was 105 cars long with two buffer cars, carrying sand, at both ends. The remaining 103 cars were carrying unrefined petroleum. When twenty-one of these cars derailed that afternoon due to a defective wheel, seven of them were punctured and five of them erupted in flames. Plumes of smoke and fire reached over the trees, and the smoke rolled over 75 miles east to Rockford. Authorities suggested that everyone within a mile evacuate due to extremely poor air quality. Only one family of two agreed to leave their home because of the presence of a propane tank near the burning tanks. The damage didn’t reach the Mississippi River but it did spill over 140,000 gallons of crude oil into the ground. Environmental experts and first responders built a large dirt wall to contain the flames, and they soon had the tracks cleaned up and moving freight. With this being the 5th train derailment in the area in just as many weeks, and increasing amounts of oil being moved by train, people wonder what will be done to ensure environmental and personal safety in the future. Train accidents involving hazardous materials in between the years 2007-2011 average out to 7,719 accidents per year (21/day). Between 2012-Present the numbers are smaller, yet averages are still 21 accidents per day. In 2008 Positive Train Control (PTC) was introduced; a system of highly advanced technologies designed to prevent trains from accidents of human error. Laws, known as the Rail Safety Improvement Act, were set in place in 2008 to implement PTC to all privately owned railroads. 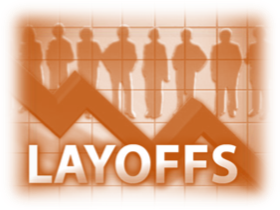 A mandate was set for 2015 but the companies said this was not enough time, congress pushed the deadline back to 2018. PTC shows an error rate of 30 to 40 percent, but it is a step in the right direction. With systems like PTC the chances of spills like the one in Galena are reduced significantly. There are other methods of transporting our oil, none of which have showed much promise when reviewing the damages. By sea, we move our oil in barges and ships. 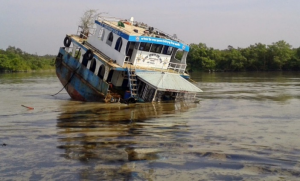 On December 9th, the tanker Southern Star 7 was struck by another cargo ship and discharged over 92,000 of crude oil into the Shela River, one of many rivers flowing through the Sundarbans. The area is home to an aquatic life sanctuary and much of the Irrawaddy dolphins, an endangered (and adorable) species. While the governmental authorities took time responding (according to wwz.Cedre.fr (Cedre is an association created after the Amoco Cadiz oil spill), it took 9 days), local fisherman and children between the ages of 10 and 16, took it upon themselves to remove the oil from plants and oil soaked debris in the river. 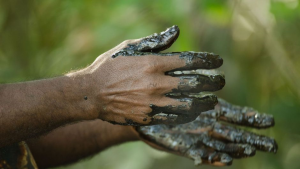 Often ending up covered from the chest down in crude oil, symptoms of skin disease soon appeared and left some of the locals with cancer. The vessel was originally said to be carrying sand and stone and was moving the oil illegally. The captain of the ship says the governments “unforgivable carelessness” is to blame for the accident. The Bangladesh Nationalist Party recommended permanently shutting down the river to all ships, and raising the punishments for those who do and don’t break the laws. Both sides put a dramatic spin on the damage. Officials quickly denied the effect the spill had on the waters, and people who wanted attention called to the problem used doctored photos of dolphins and tigers to demonstrate damage. The reality of it is somewhere in the middle. Animals that were in the water in the days following were covered in oil and some were found floating dead in the river. The cleanup was slow, unscientific and is more than likely unfinished. Concern isn’t necessarily about imminent threats but more about the gradual degradation of the plant life, soil quality, and the communities’ / animal’s way of life. We can put laws in place and upgrade our current methods all we want, but unless people change their way of thinking from profit based decision making to accounting for environmental and societal impact, we will continue to see widespread, environmental destruction. Accidents like the ones I have talked about are the exact reason the protesters at the NDAP haven’t given up. They see the pipeline as a threat to their sacred sites and environment, especially the Missouri River. According to Google, 1.3 million gallons are spilled each year by vessels and pipelines, so it’s easy to understand why the NDAP protesters are concerned. They know the dangers that the pipeline proposes and are trying to do something to protect our water and land. By using our knowledge and experience, we can revise our approach to oil and fuel transportation to make it safer for people and, more importantly, our world. 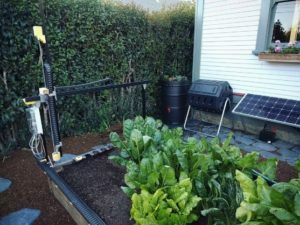 I am going to review in brief FARMBOT https://farmbot.io an impressive emerging product that brings DIY automated farming to your home. 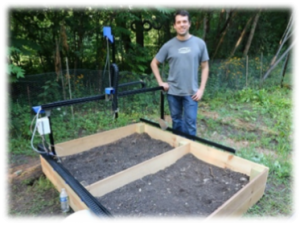 FARMBOT uses CNC (Computer Numerical Controls) and custom software with a video game like interface to control the machinery for planting, watering, weeding, etc. 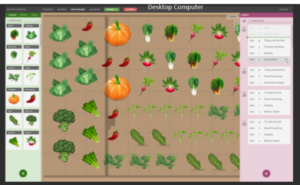 You can customize what you are growing and practice proper crop rotation based on what you are growing. You can purchase your own kit or use open source resources to 3D print and piece together your own machine using off the shelf components. Even at a small scale this system can make a big impact. 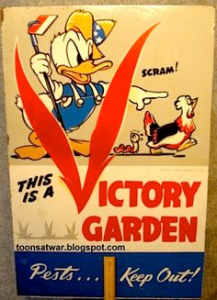 I am reminded of the parallels of this idea with the victory gardens of World War 2. I hope this new green trend takes off in the future. The makers of this system seem to be bending over backwards to make it as user friendly from the ground up. I would love to see this system scaled up in a Aquaponic or Hydroponic farming application for a community. 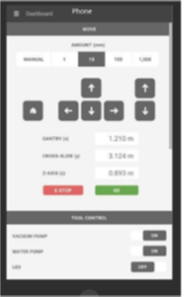 You can see in the examples below samples of the user interface and how it resembles a video game. 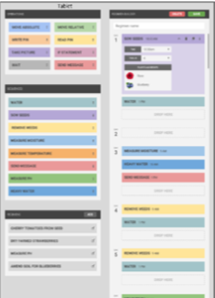 You can see the application running on a PC, Tablet, or Smart Phone. This is an official publication of: Technocracy, Inc.